This post provides a brief recap, at the halfway point, of the main findings and discoveries from the long-term evolution experiment (LTEE) with E. coli. My goal is to summarize in a series of ~10 posts the most important findings and discoveries, as I see them, in broad, conceptual terms. The first five entries are listed here, with links to those posts. Number 1. The LTEE offers a simple, compelling demonstration of adaptation by natural selection. Number 2. Although the rate of improvement decelerates, it appears that fitness can increase indefinitely even in a constant environment. Number 3. The LTEE has produced many striking examples of both parallel and divergent evolution across the replicate populations. Number 4. The LTEE provides fascinating cases of the origin and evolution of a novel function and complex ecological interactions. Number 5. Some of the LTEE populations have undergone large changes in their mutation rate, which reflect a tradeoff between short-term fitness and long-term evolvability. 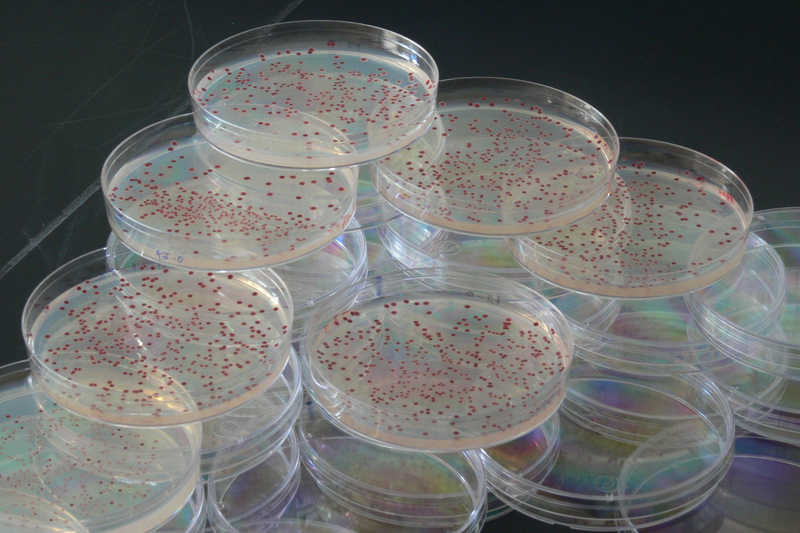 The picture below shows a few of the petri dishes used in the LTEE. It was taken by Brian Baer, MSU.